Andrew Motion’s powerful sequence of war poems draws on the words of serving soldiers from the trenches of the First World War to Iraq and Afghanistan. This adaptation was read by a stellar cast including Toby Stephens, and featured musicians from the Bristol Ensemble. 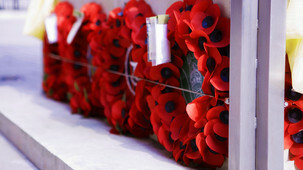 It was broadcast as part of Radio 4’s commemorations on Armistice Day 2011.